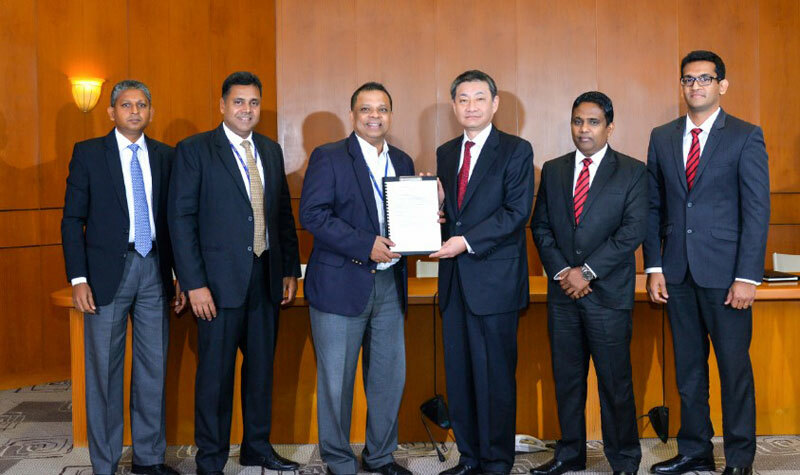 The Memorandum of Understanding between the two corporate giants was signed at HNB Towers under the patronage of Supun Dias, Head of Business Development, HNB, Sanjay Wijemanne, Deputy General Manager (Retail Banking), HNB, Jonathan Alles, Managing Director/CEO – HNB, Shungo Yoshioka, Managing Director, Toyota Lanka, Manohara Atukorala, Director/Chief Operating Officer, Toyota Lanka and Ashan de Silva, General Manager (New Vehicle Sales), Toyota Lanka. Operating through 251 customer centres across the country, HNB was recognised by the prestigious Banker Magazine as one of the Top 1,000 banks in the world and is also the highest ranked local bank in this listing. HNB has also been adjudged Best Retail Bank 2018 by The Asian Banker Magazine in addition to being declared Best SME Bank, Best Digital Bank and the Best Cash Management Bank in Sri Lanka at the Asiamoney Awards 2018. As the first to introduce leasing to the banking industry in Sri Lanka, HNB holds the largest lease portfolio within the private banking sector in the country.